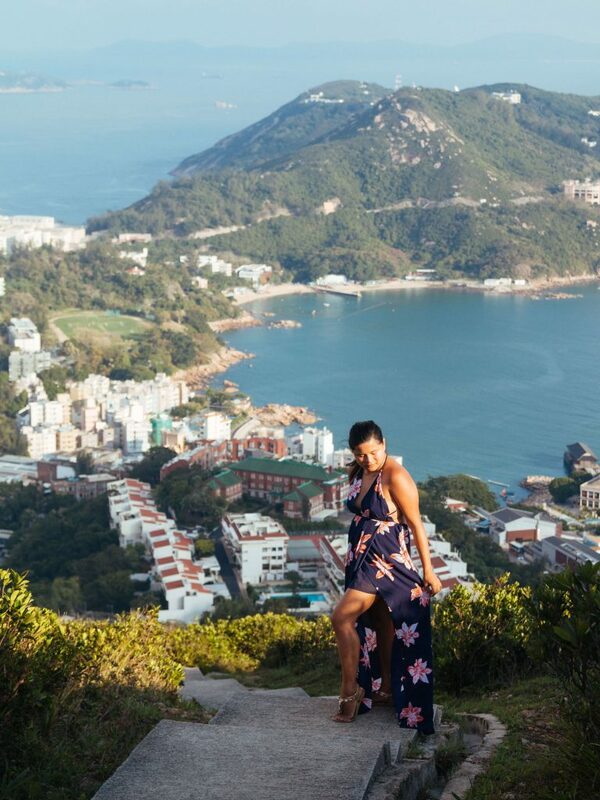 Most people go to Hong Kong for the food, for the buildings, for the shopping finds, and for the rides. 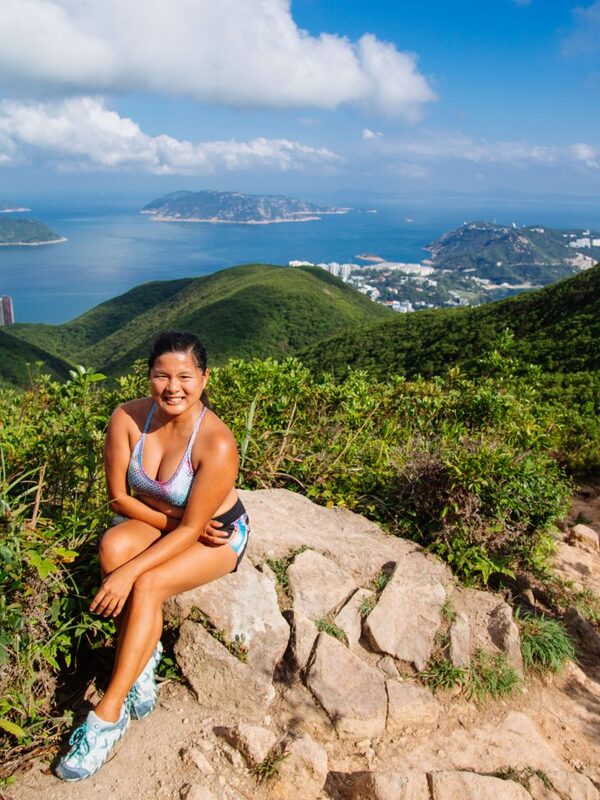 But let me show you another side of Hong Kong you may be missing out on: the mountain hike! 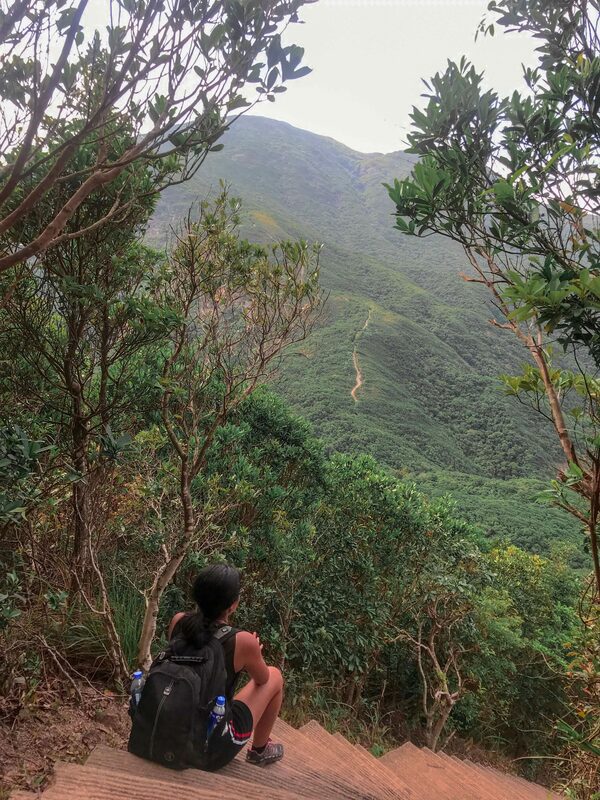 I’ve mentioned before that one of the reasons I love going to Hong Kong is the myriad of selections of easy- medium hikes around the area. There we were, 2 Karinas and 2 Kays (the other Kay is also a Karina — crazy, I know) huddling together planning our next shenanigan. 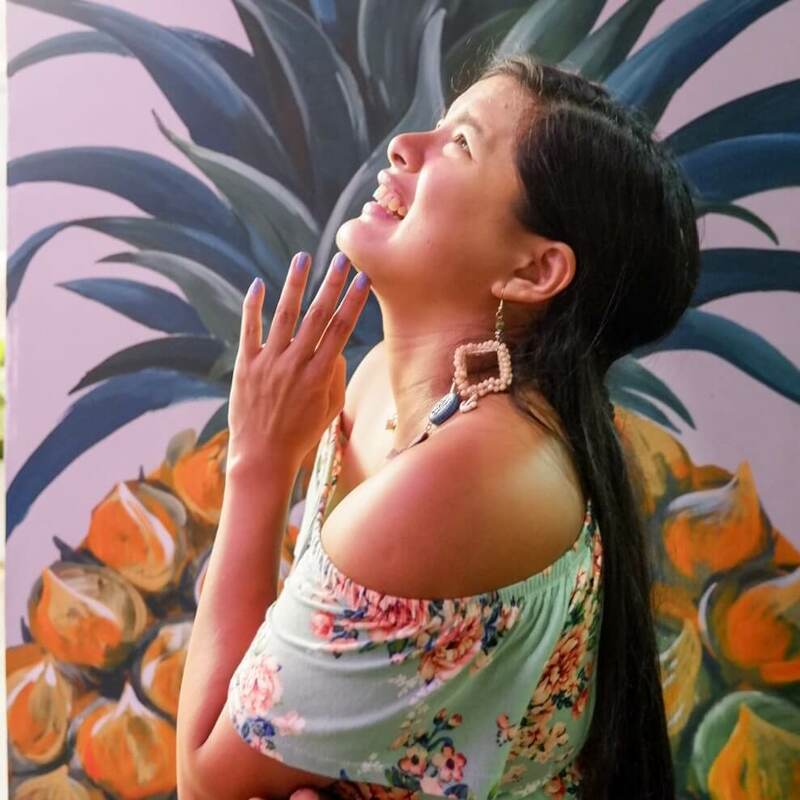 Karina (the other one) only had one day left in her stay, so we thought of doing something she hasn’t done here before. 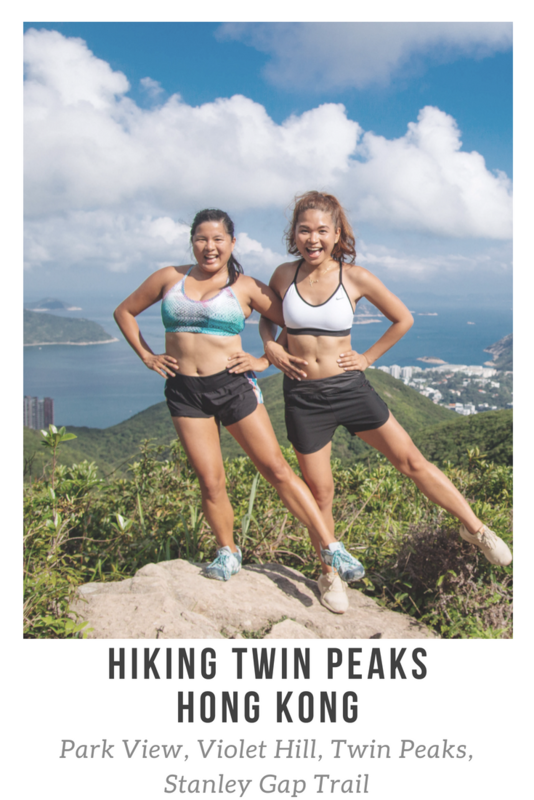 Kay, in all eagerness, suggested hiking the famed Twin Peaks! 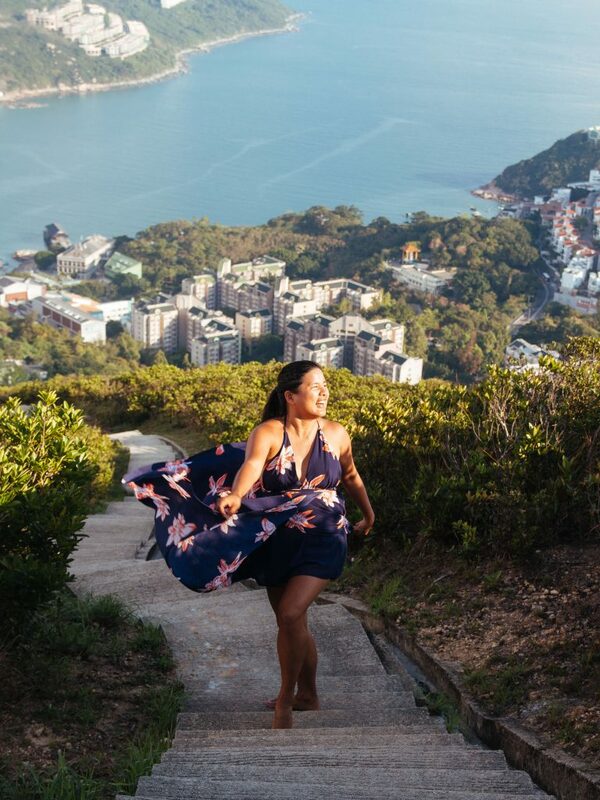 Okay, my feet hadn’t really recovered yet from all our previous Hong Kong activities. 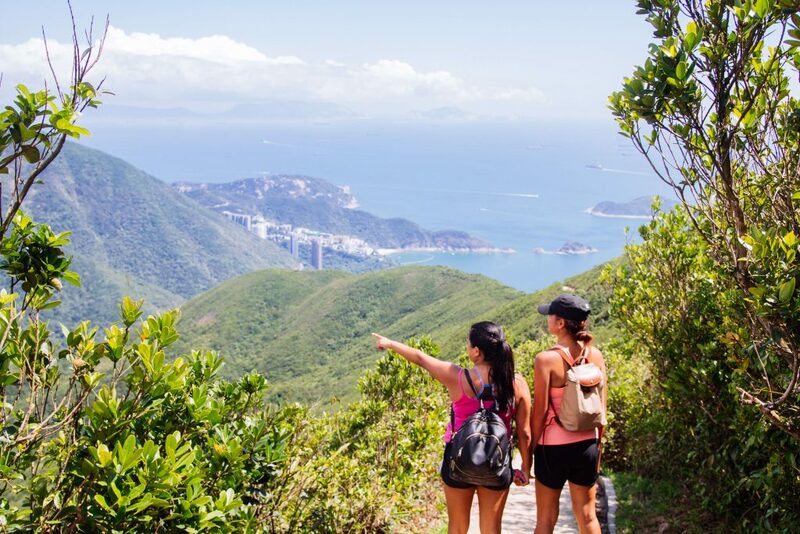 Disneyland, Ocean Park, tours, neighborhoods… and now someone is proposing a hike?! 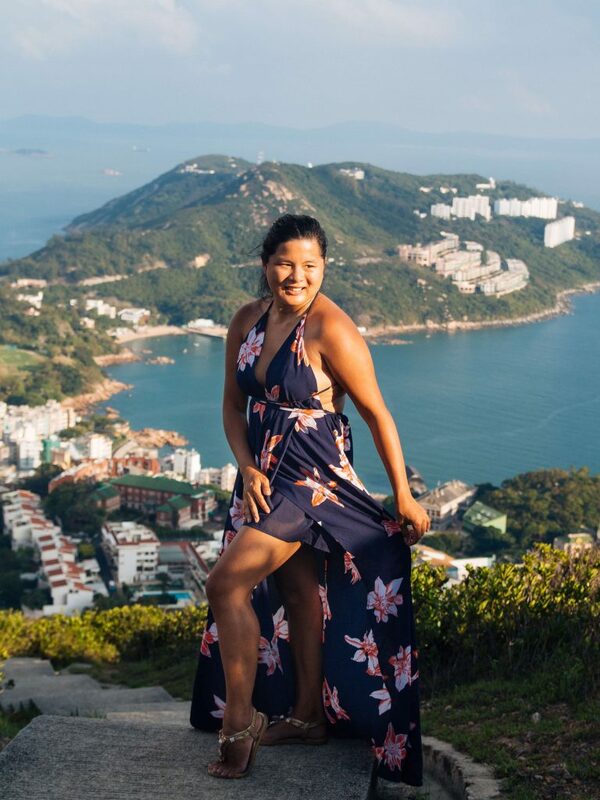 I was also really sick prior to that but then Karina ( Karinez) said that she wanted to hike and Kay said it was going to be easy and we should head there soon as we could. Spoiler alert — it was NOT easy. In hindsight, we could have prepared better for this. And yet, it was all worth it! That’s especially considering the wild energy that got us through the whole adventure. Again, another disclaimer, although I love to hike, I haven’t hiked for quite some time. Also, this route is mostly stairs— -and we did 4.8KM of stairs. 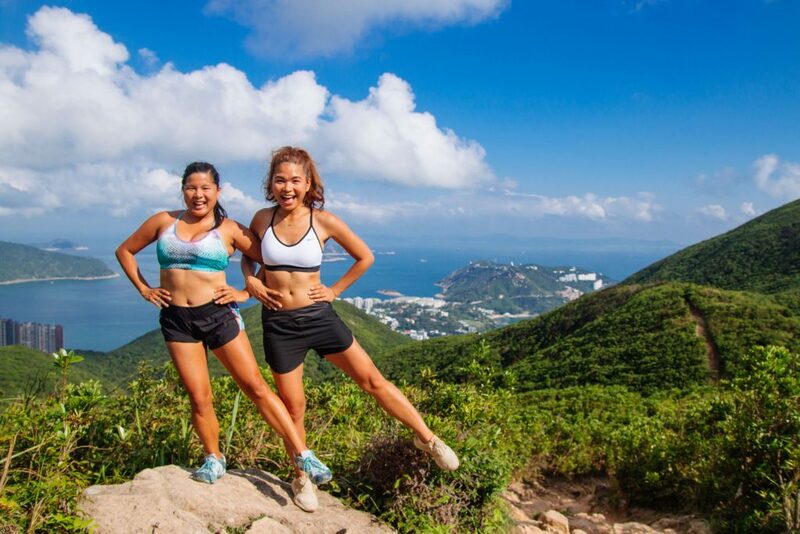 This hike was never really easy, it demands physical strength but perhaps if you are more fit or into running, then this trail is “easier” for you. First off, bring lots of water. I only brought a litre but nearly ran out since it was a hot day. And, there’s nowhere to refill in between! 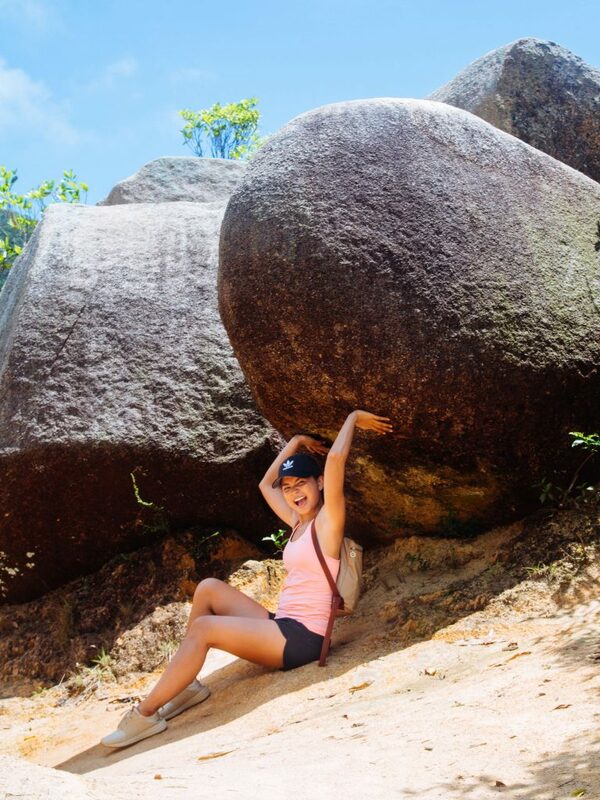 It’s also a long hike (we took 4 hours, an hour more than average, with several stops along the way) so make sure to bring some trail food as well. 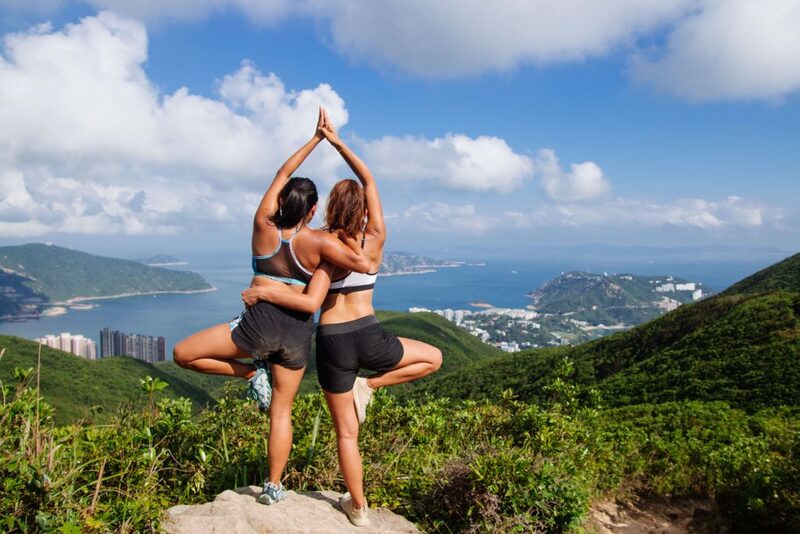 And since you will mostly be exposed to the sun after Violet Hill, bring something to protect your skin! Hats and sunscreens are recommended. You will find shade from time to time but yes you will be out in the open, under the heat of the sun. 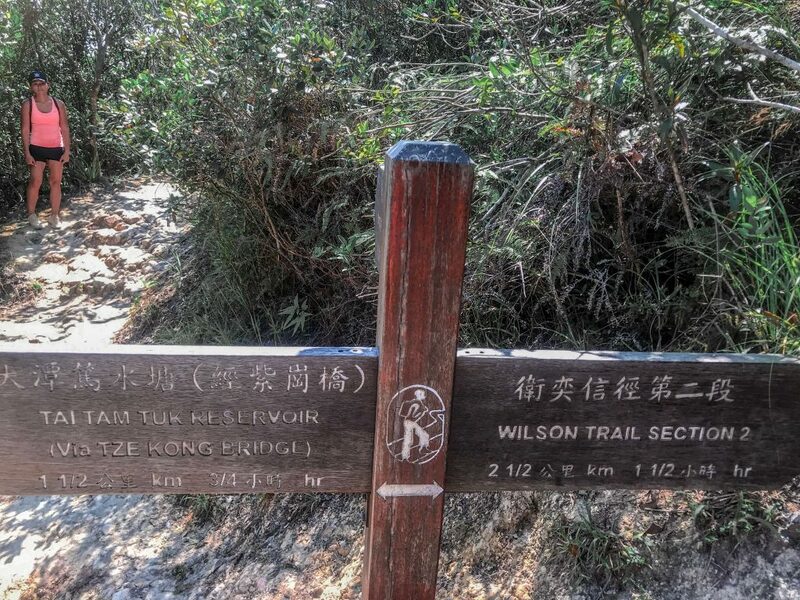 In conquering the Twins, we took the Wilson Trail which offers really great views and wildlife encounters. 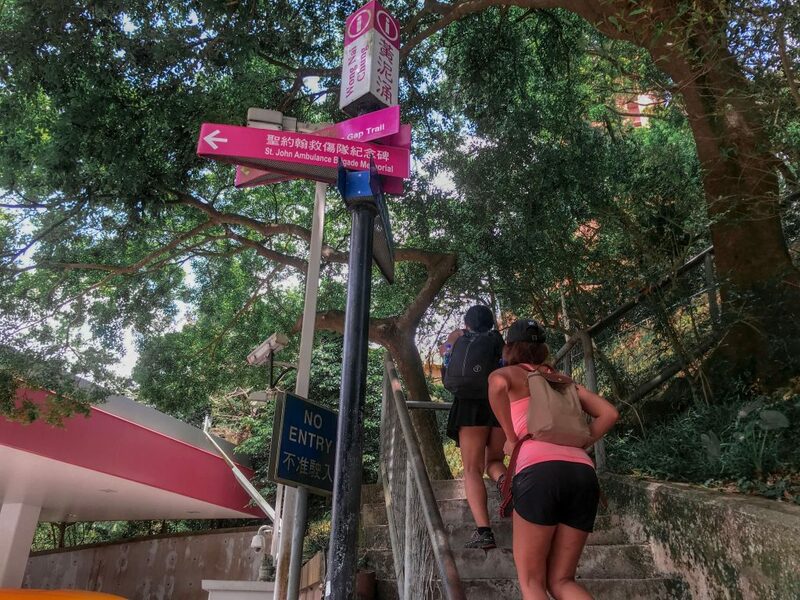 We took Bus 6 from Admiralty and ended up beside Tai Tam Country Trail (beside a gas station). Note: Kay’s GPS was late in updating so we initially missed this stop. To make it easier, you will see a Sinopec Gas Station. You can also use this pin location to know where the starting point is. 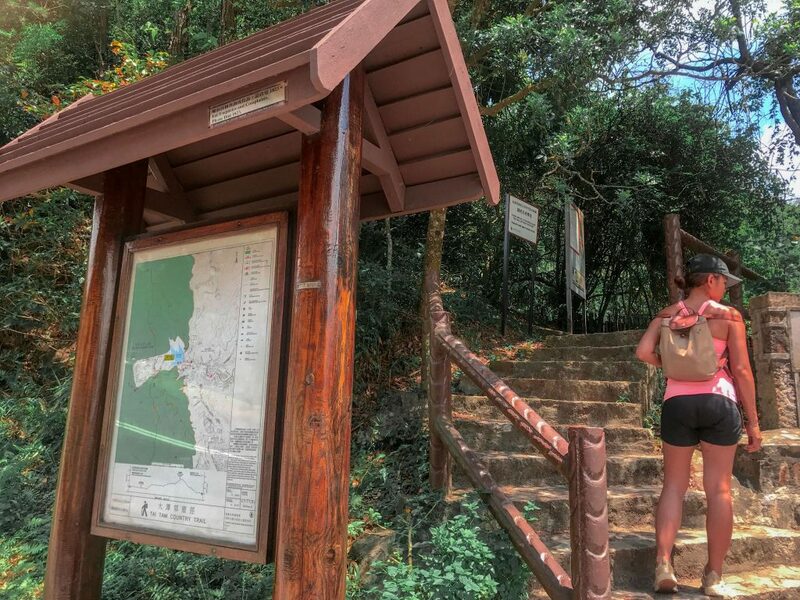 This is the trailhead, and you can start following it until you get to the first landmark — the Wong Nai Chung Reservoir. If you’re not in a rush, you could check out the water creatures here! 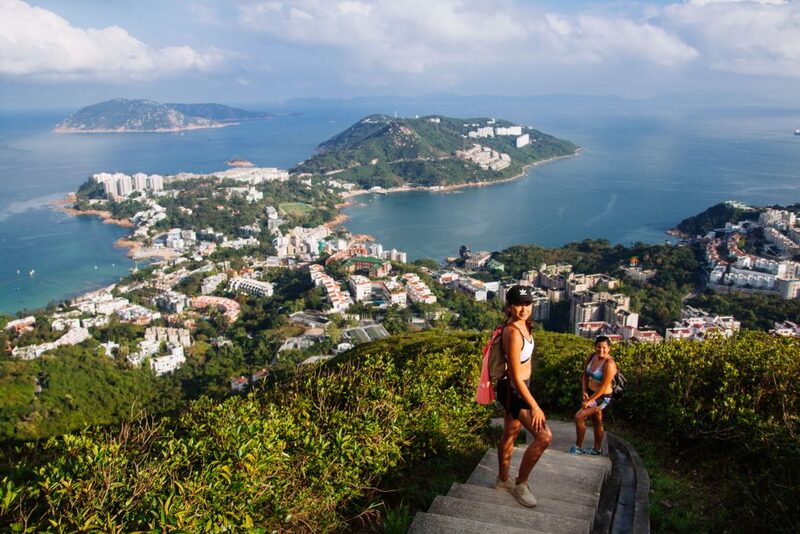 When you’re ready to continue, take the Tai Tam Reservoir Road and look for the stairs before you reach Hong Kong Parkview. This is the Stanley Section, part of the first section of the Wilson Trail! There’s a lot of stairs to conquer here, but it does flatten after 15 minutes. Don’t worry about the sun yet, as there’s a tree tunnel for shade. 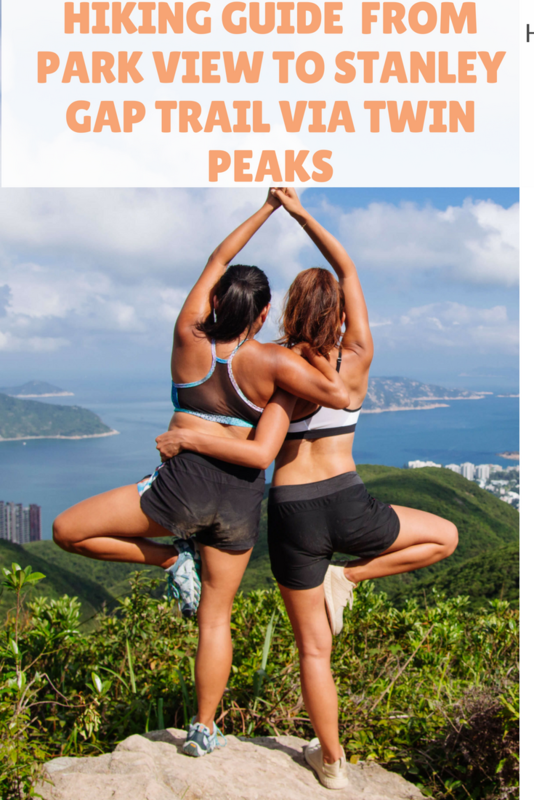 Think of it more as a warmup for the next parts of the hike! Have fun enjoying the trees and wildlife while you’re at it. 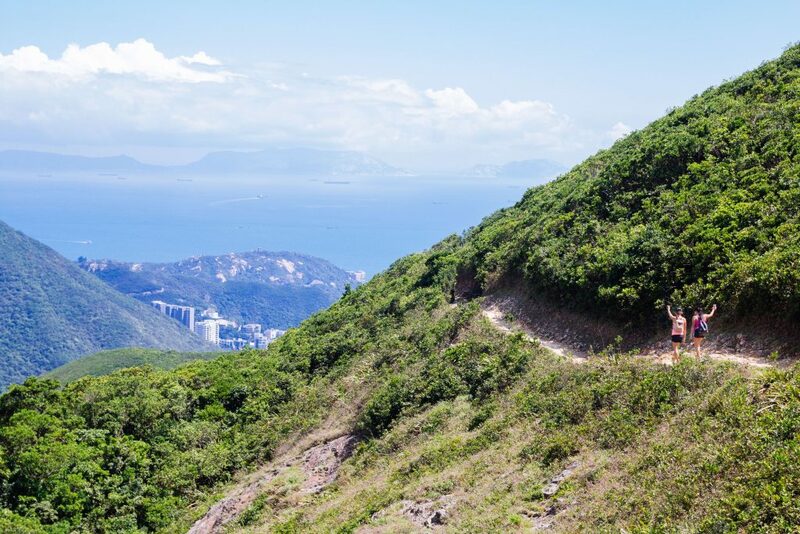 Spot the violet-colored flowers, after which this Violet Hill is named! 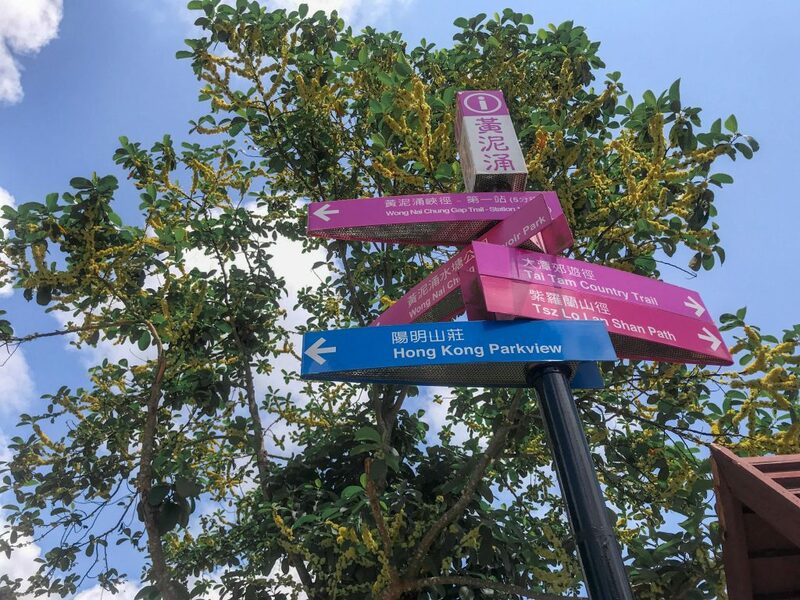 It will take you about 30 -45 minutes to reach Violet Hill. 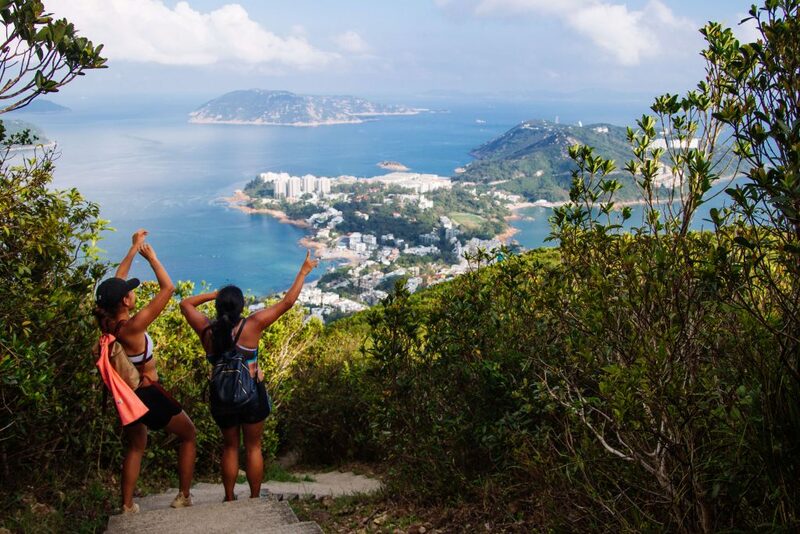 From the top, you will have a great vista of Repulse Bay. Now it’s easier to appreciate the various architectural styles comprising this resort, along with the beautiful waters on whose lap it sits. The descent from Violet Hill begins (staircases again!) and eventually you will encounter flat land. 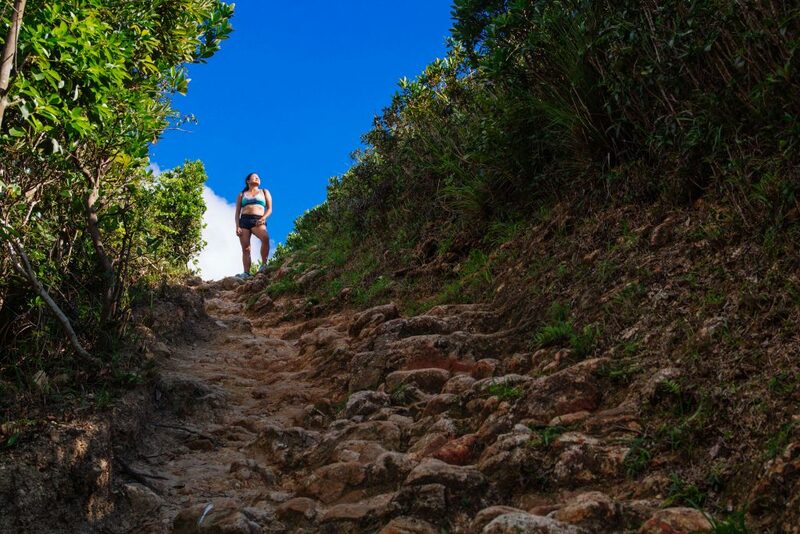 After that, don’t worry if you’re starting to descend further — you’re just being set up for the meat of the hike! It goes around another hill, but don’t worry, it’s flat and a walk in the park. Think of this as the resting stage. 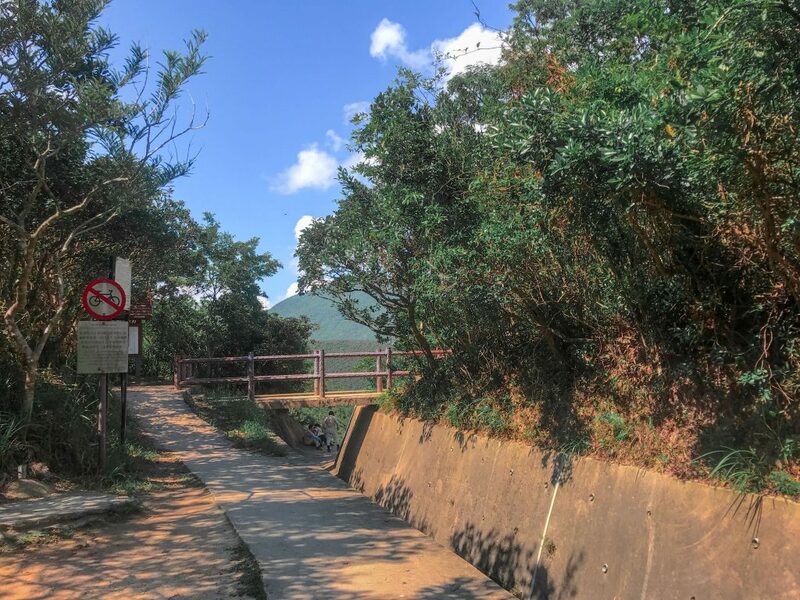 Eventually you will reach Tze Kong Bridge, where you’re see a sign that takes you to Stanley Gap Road. 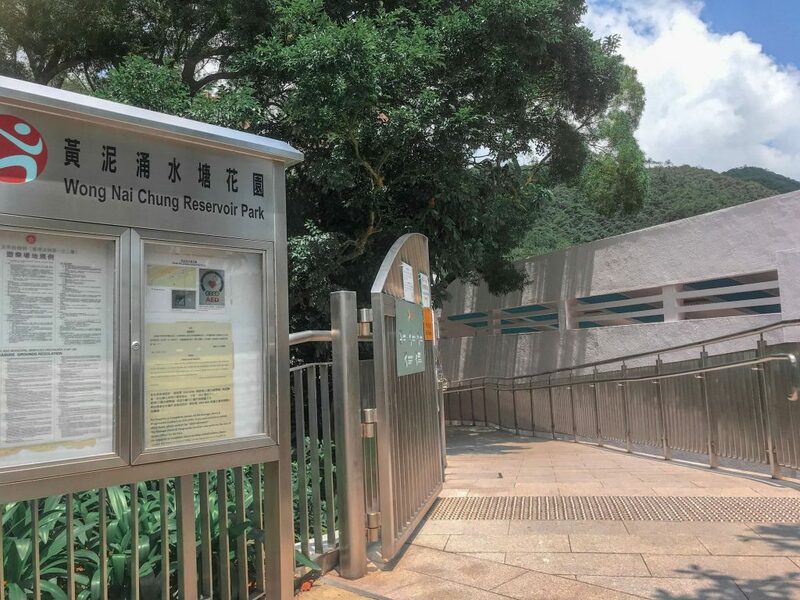 Follow the one that says Tai Tum Reservoir to Tze kong Bridge. It took us a while to figure out which path when we were here but yes, head to the bridge. When we got to this bridge, there are benches on the side so we took a long rest. This is the point where we were thinking if we should continue to twin peaks or to exit catch water. You will see a lot of people running in this area. We sat and we took a break, ate our crackers and braced ourselves for the decision that we will CONTINUE. 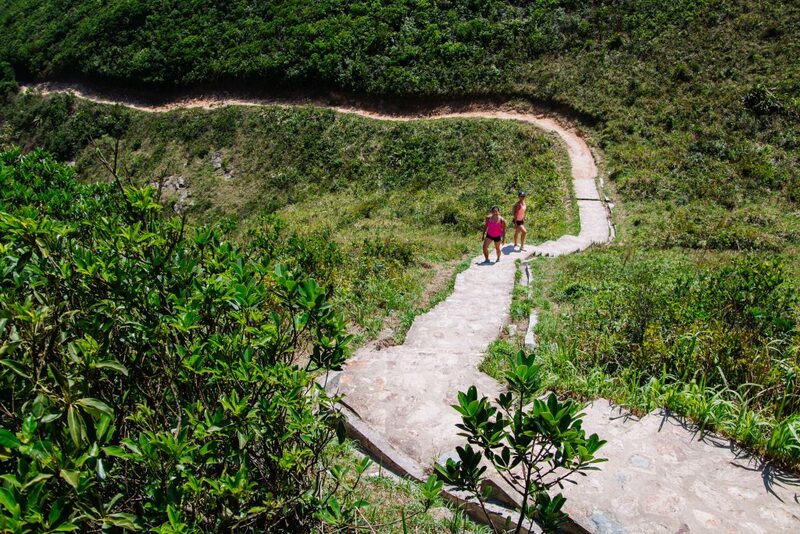 Steel your legs, as it’s a literal endless uphill battle of more and more stairs! 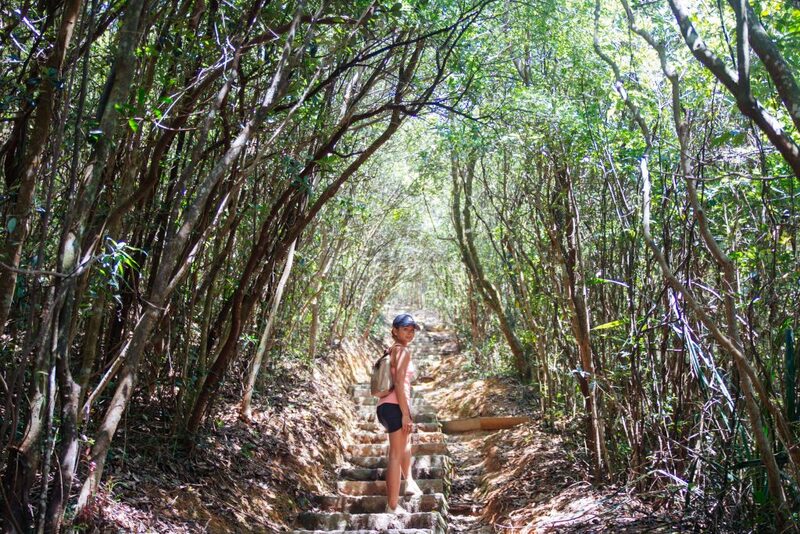 In fact, the locals nicknamed this area the “1000 Steps” in recognition of its ability to turn even well-worn legs into wobbly jelly sticks. 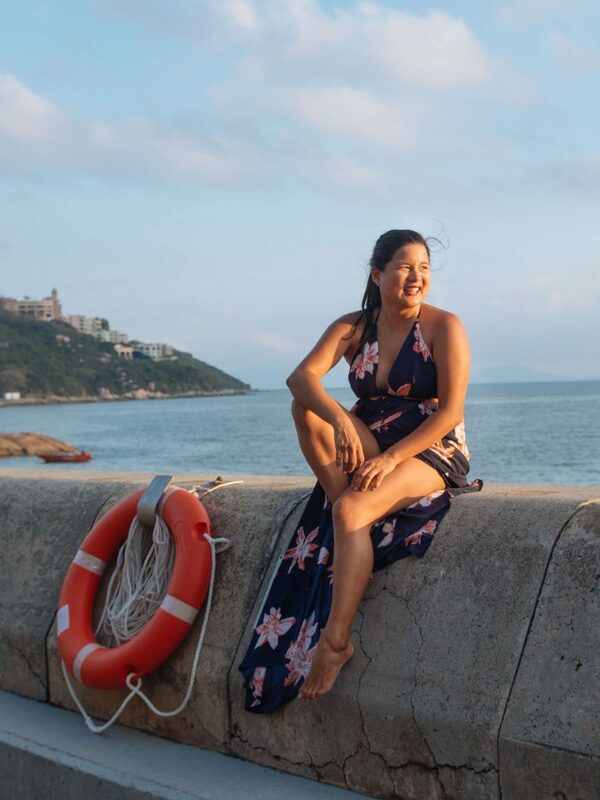 Karinez taking a break, she was lucky she had long legs. 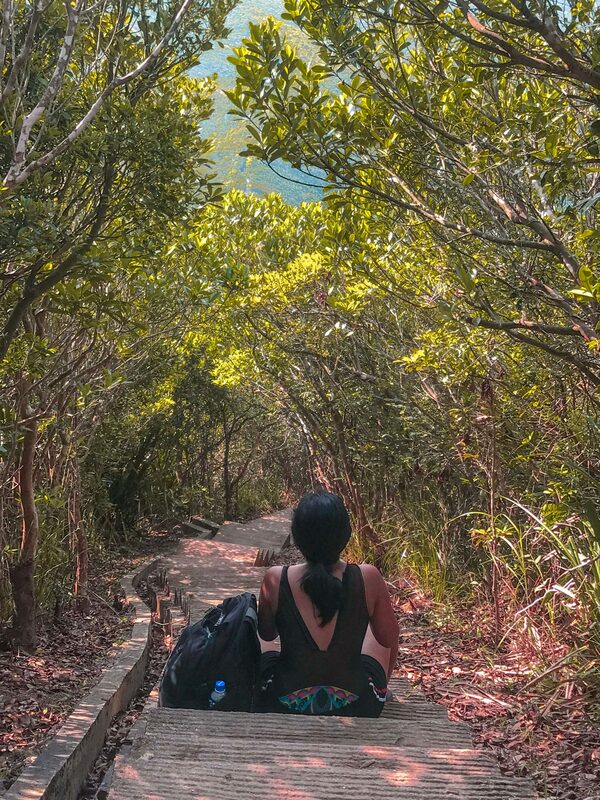 She was leading the group. Kay, taking photos and her much needed rest. Lucky, she brought her speakers so we were just playing music to keep us entertained. It really felt like a staircase to heave. See! And yeah, I already mentioned we were a crazy bunch, right? 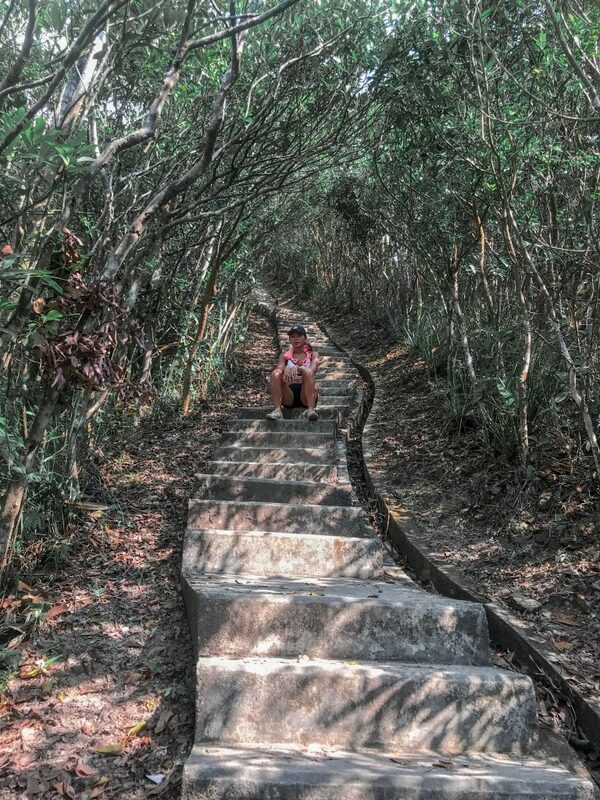 We actually got through this part of the hike by singing, dancing, and taking endless pictures on the trail! Yes, we expended far more energy than we should but that got us through. We also took frequent breaks, so that made up for it! 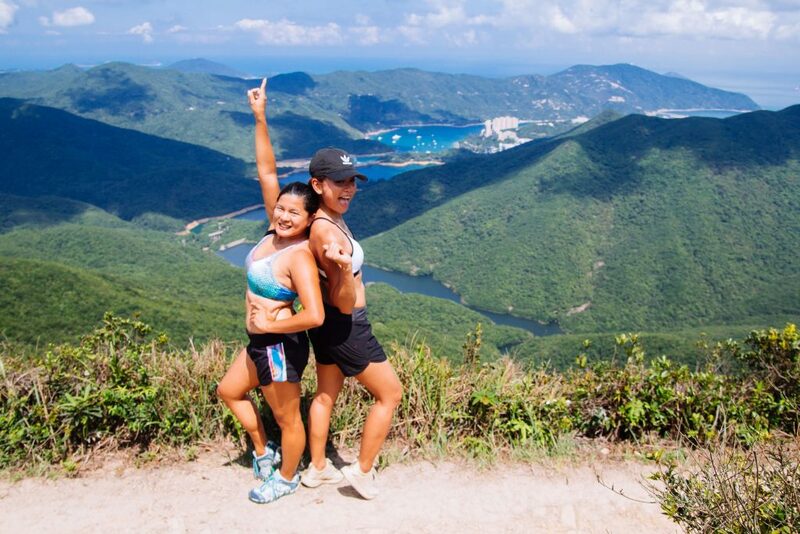 And when we finally reached the peak, we had an amazing view of Tai Tam Bay to soothe all our tiredness away! 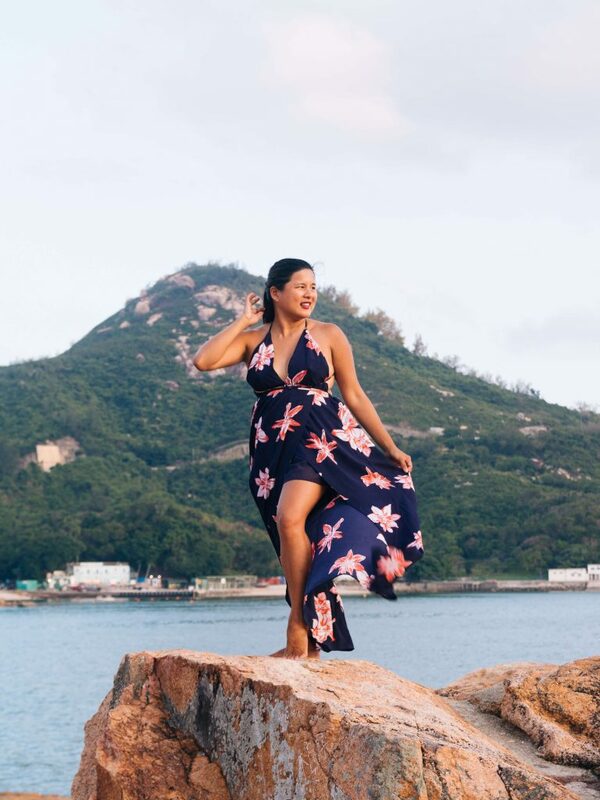 There are also panoramas of Bluff Head, Tung Tau Wan, and Tai Tam Tau. 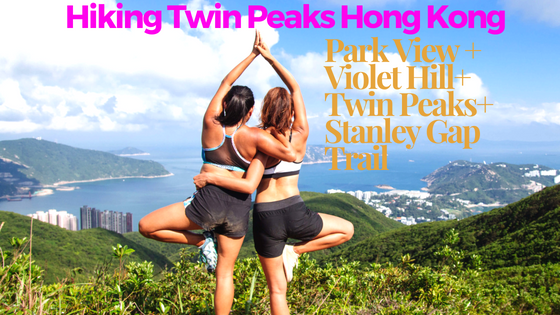 You’ll know you’ve conquered the Twins when you’ve seen all these and the Ma Kong Shan View Compass! 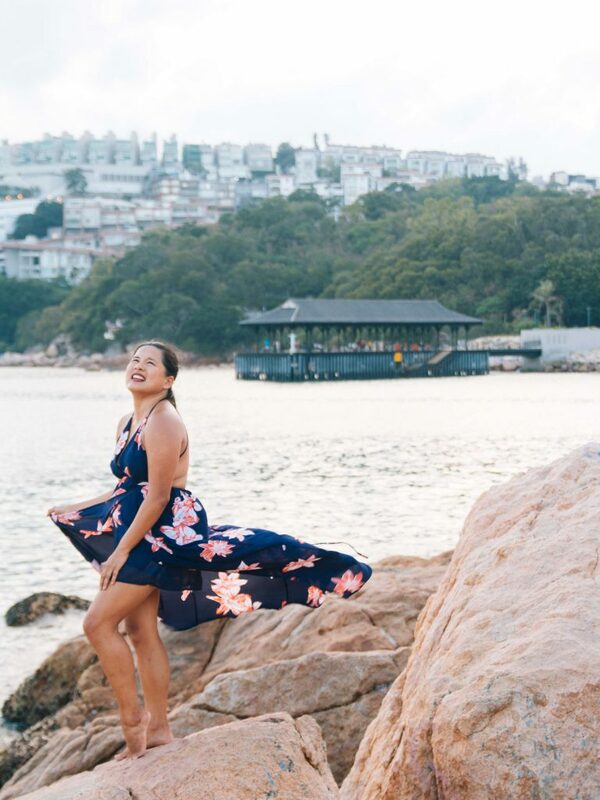 Photo By Kay Dulay, Dress from Black Coral Xo. But the best is yet to come. 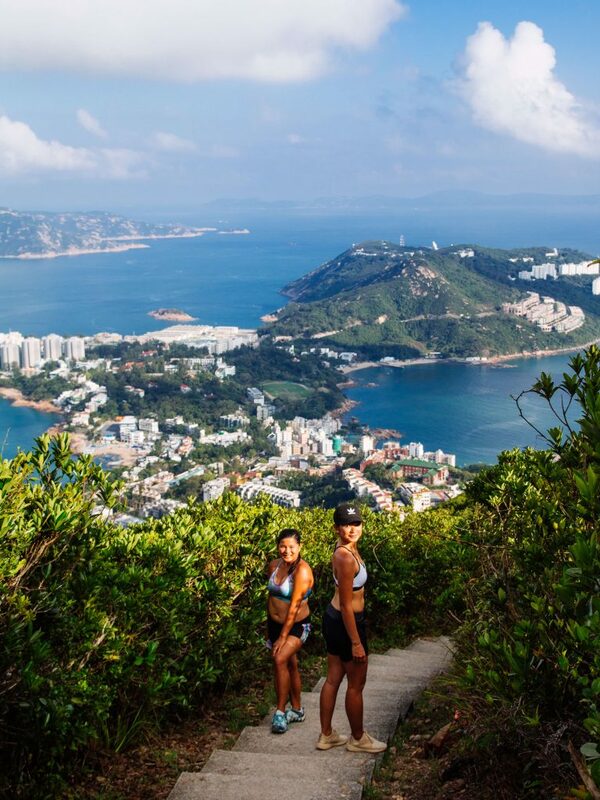 At the end of the hike is a purely breathtaking view of Stanley Bay! We were starting to go down, but we just had to stop for this incomparable sight. 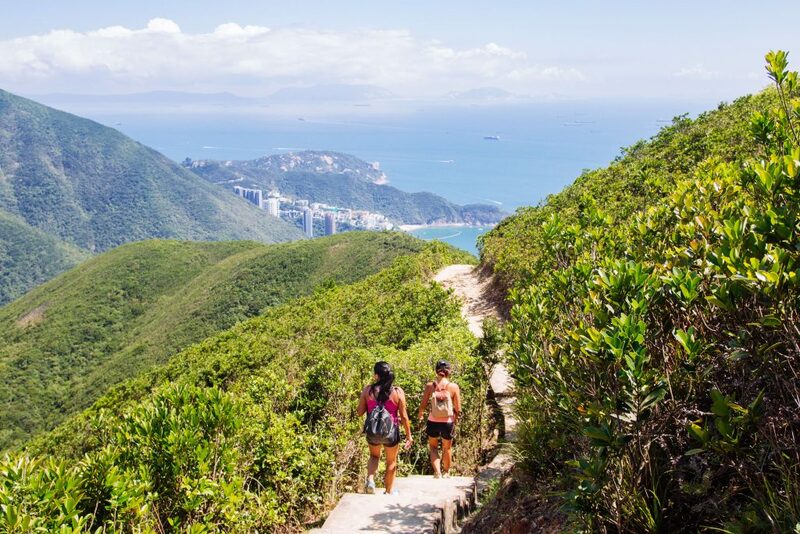 Keep your eyes peeled as you can spot the famous attractions of Stanley from here! From there, we reluctantly descended to Stanley Gap Road, the official end of the trail. We then hailed bus 6 and proceeded to the waterfront for a well-deserved meal. 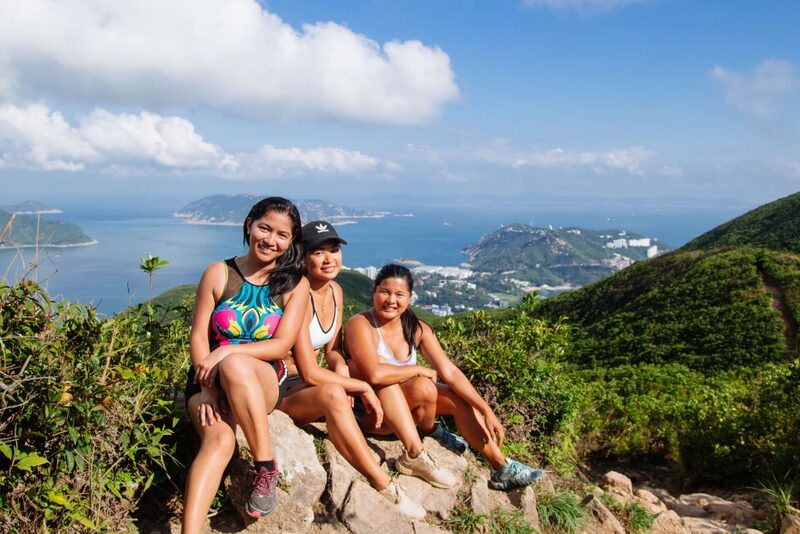 It was the perfect way to cap the hike, and to show our friend Karina a new facet of Hong Kong! But furthermore, we were able to bond together in our own quirky way. While we’re not eager to share that physical punishment again anytime soon, it was still an irreplaceable experience.